Japanese molecular gastronomy, need we say more?!? Well ok, I guess we need to say a little more. RyuGin, a Michelin started restaurant, located in the ultra posh Roppongi neighborhood in Tokyo, is easily one of the 5 top restaurants in the city, and not to far down the list of the top world restaurants either. Some of the most famous chefs in the world make a pilgrimage to Tokyo to eat at the famed RyuGin to experience the unique blend that is Kaiseki (the traditional type of high-end Japanese dining) and brilliant molecular gastronomy created by chef Seiki Yamamoto. Head chef Seiki Yamamoto layers on some exceptionally imaginative molecular principals to compose a meal that will truly blow your culinary universe. Although he wouldn't describes what he does as molecular gastronomy, it's tough to find any other word that aptly describes what it is Yamamoto actually does. Although they specialize in Kaiseki (traditional Japanese cooking), RyuGin does it with a twist, which is part of what makes this so special. With its strong foundation in traditional Japanese cooking and true respect for its delicate intricacies, RyuGin brings tradition to modern Japanese cuisine by adding innovation and wonderful little surprises that are interwoven into the elaborate 13 course meal. 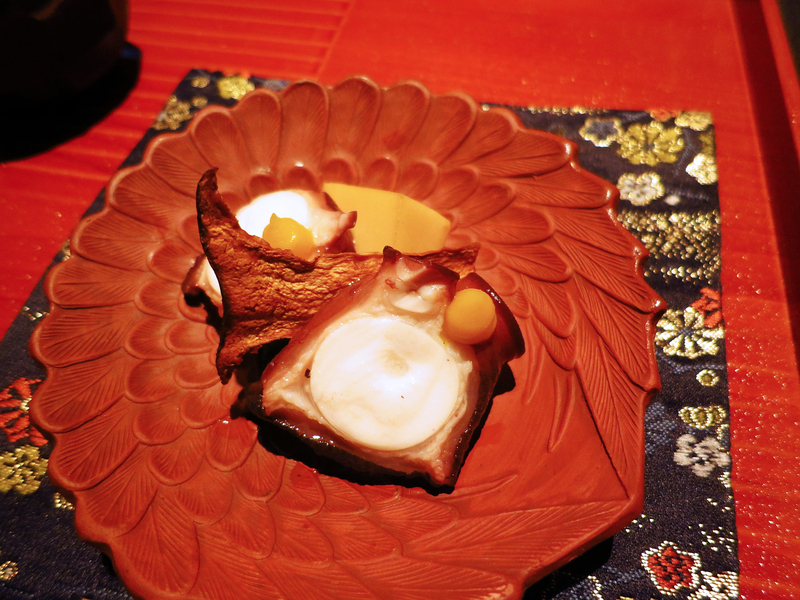 Nihonryori RyuGin (that's the full official name) is consistently voted one of the world's 50 best, so if you're looking for a special meal to splurge on while visiting Tokyo, you can book here with certainty that you will have an excellent meal. Often, almost without fail, chef Yamamoto will actually come out at the end of a meal to greet his honored guests, putting the final stamp of approval on a spectacular meal. One of the best times to visit RyuGin is during the fall months, which are rumored to be the best because of the available seasonal ingredients. The seasonal Japanese ingredients make for some truly outstanding dishes, that you won't soon forget.